With how fast technology advances, especially in products like laptops or mobile devices, it always seems kind of neat to go back to the older products to see how they compare in feel or performance. I used to do this a lot with my parents' older laptops, including one of the laptops on Windows 3.1. Despite having practically zero battery life, weighing over seven pounds, and with a screen size smaller than ten inches, I often liked using that notebook. It had a solid feel, and it even came with a trackball rather than a trackpad. Similarly, I often go back to my old Nokia cellphones for the fun times, like re-experiencing the difficulties of T9 texting and the single game of Snake. Obviously, if I had to choose between the new and old products, it would be hard to really choose the previous generation, even if they had redeeming qualities. It just shows the refinement and even the style of the times. A few weeks ago, we took a trip back in time to take a look at a keyboard styled in a time of typewriters. Today is another time travel, except on a much smaller scale. Twenty months ago, we took a look at the Func MS-2, and it came out with a happy finish. Fast forward to today, and you can see this review unit has a new name in the Fnatic Gear Clutch G1, but not much else has changed... or has it? As with all things, the devil is in the details, and our review of the Clutch G1 will look at exactly this to see exactly what this new iteration looks like! 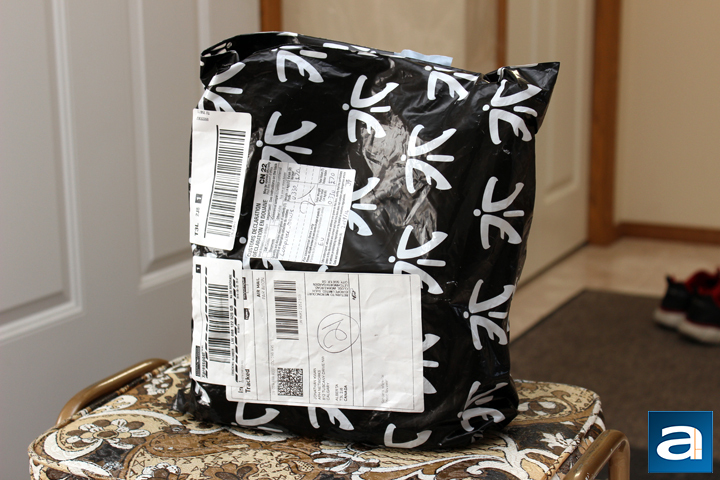 Today's review unit of the Fnatic Gear Clutch G1 arrived in a slickly labeled Fnatic shipping bag. Travelling overseas from the United Kingdom, this item was shipped with Royal Mail, until it was transferred to Canada Post, who promptly delivered this parcel to our APH Networks location in Calgary, Alberta. As most shipping bags are quite flexible, you probably will not see any scratches or dents, but instead puncture holes or rips if it is damaged. Thankfully, none of these blemishes existed on our bag, and thus I would expect the insides to be okay. In addition, the Clutch G1 came in a bubble wrap pocket to reduce the likelihood of dents from impact. Unfortunately, the bubble wrap and the plastic bag was not enough to save the Fnatic Gear Clutch G1 from acquiring some bruises in transit. As you can see, there are a few dents in the corners, but on the good side, this did not affect the product inside. 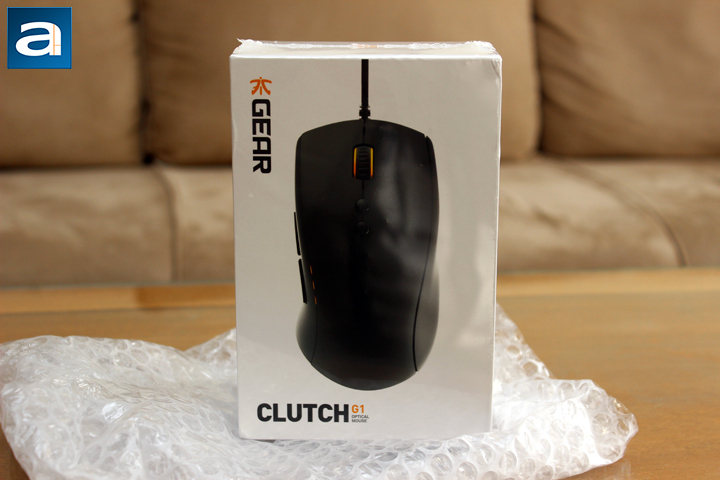 The box is pretty clean and basic, and it fits with previous Fnatic Gear products we have seen before. The front panel shows off the mouse from a bird's eye view. Fnatic's logo is shown on the top left corner, with the product's name on the bottom. The side has a side profile view, while the rest of the box is pretty clean. Otherwise, at the back we have some specifications and details to read about. The process to open the box is as simple as peeling back the two stickers and sliding the top lid from the bottom. 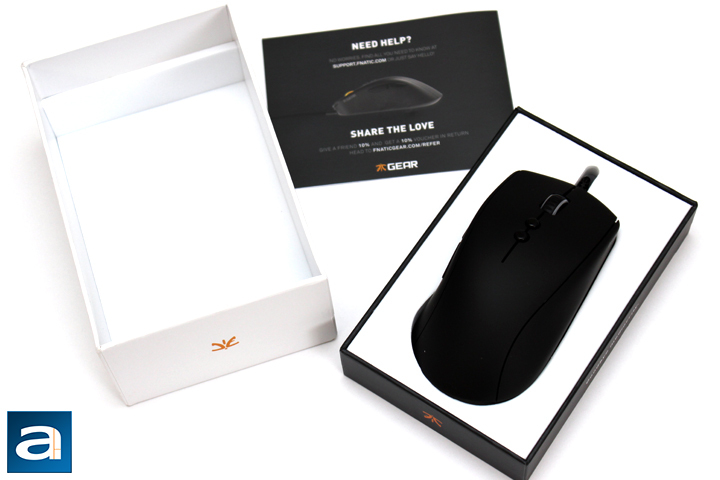 From here, a quick start guide should slide out, and this guide shows general use and functionality of the Fnatic Gear Clutch G1. However, the star of the show is the mouse, and this rests on a nice white foam background. This makes for a very clean unboxing experience. Obviously, Fnatic has put some time into refining the unboxing, and I think their efforts have paid off. However, the more interesting part is the mouse inside, so let us take a look at the rodent inside. posted 13 hours and 27 minutes ago, with 5 posts. posted 13 hours and 28 minutes ago, with 57 posts.